YULAI – For approximately 48 hours, CONCORD's Directive Enforcement Department have been holding a ship of unknown design in quarantine outside the DED's Yulai X Assembly station. The initial apperance of this ship, apparently under the control of a force commanded by DED Genesis Fleet Captain Oveg Drust, immediately attracted the attention of many capsuleer pilots. Unknown vessel at anchor outside DED Assembly Station ,Yulai X. 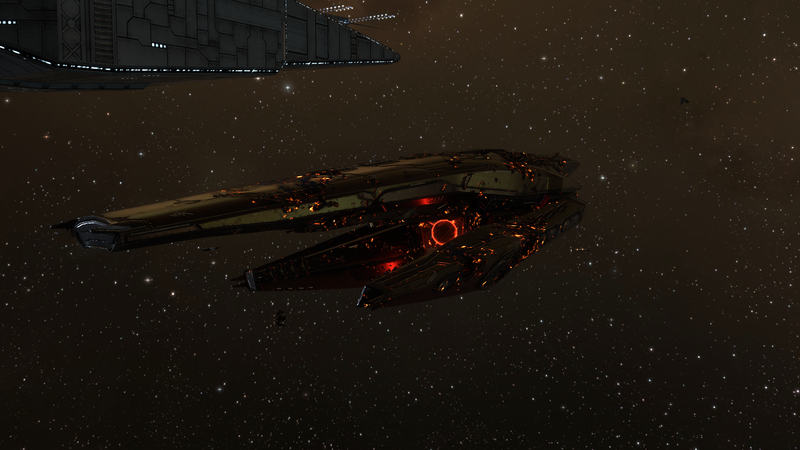 Whatever its origin may be, the vessel appears heavily damaged, although clearly under power to some degree. Capsuleers have identified as the same type of vessel apparently in conflict with Drifter forces at unknown locations, as shown in video datastreams recovered and deciphered by the Arataka Research Consortium. All attempts at communicating with the ship, or to repair or further damage its structure have been futile, with the exception of a communication made yesterday by Captain Oveg Drust: "This ship is under quarantine and is being inspected to make sure it's safe before docking. No further statements will be made at this time, please keep your distance." 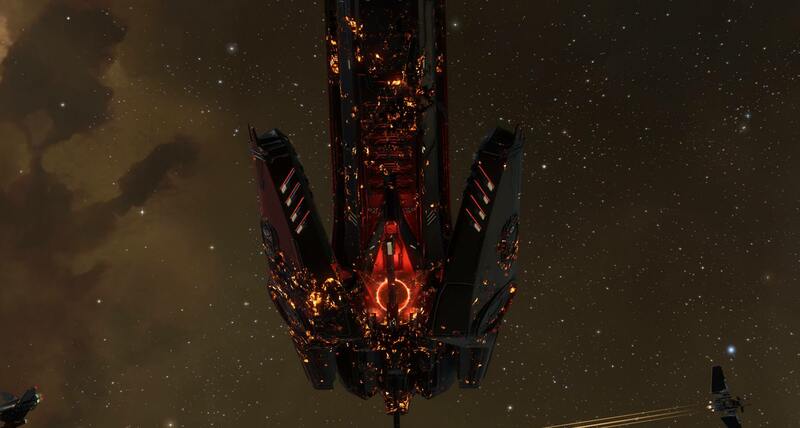 Oveg Drust came to public notice over the "The Astromancer Affair", during which he pursued an aggressive policy of evidence recovery against various capsuleers, culminating in a SARO commando raid on a capsuleer vessel carrying the corpse of the Astromancer. It has subsequenltly been claimed that Captain Drust is an agent of an alleged Inner Circle-CDIA-SARO liaison group known as "The Radius". CONCORD has officially denied the existence of any such group. 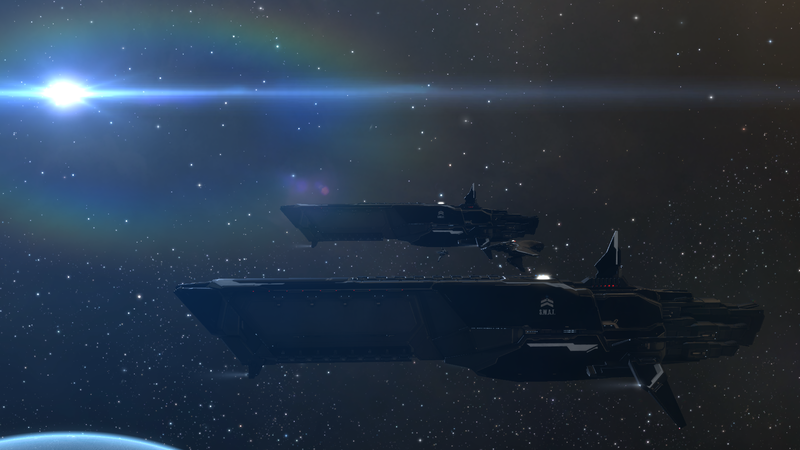 No further statements have been released by CONCORD regarding the unknown vessel but a squadron of the DED's elite 'Black Troop' SWAT vessels have been maintaining a presence in the system. Requests for comment from the governments of the "Big Four" CONCORD powers have been declined. The Society of Conscious Thought has also declined requests for comment. However, sources within CONCORD have indicated that the Inner Circle has been in continuous session for the past three days.